Can I view an archive of my exhibitions, competitions or shows? The Show Record for each Piece will be available under Show History on the Piece's page. Click Pieces in the left side menu. Then, click the piece to see its complete record. Scroll down to Show History. 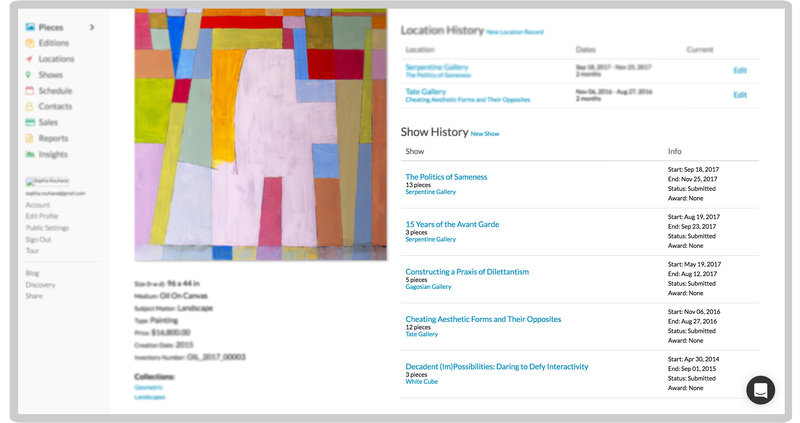 Build a complete history and provenance of your pieces over time.